When you give a healinghug, you are joining a team of wonderful and dedicated caregivers. Doctors, nurses, therapists, teachers, cooks, drivers… they couldn’t give a healinghug without you. And you couldn’t do it without them. Have a listen to why they do what they do. Agnes works at CoRSU, Hope and Healing International’s partner hospital in Uganda. I have a passion for people with disabilities. This is my seventh year in this post. My dream has always been to help people cope. When a child has mobility difficulties and he receives surgery and gains mobility…that makes me love my work. Have you had any cases in which the outcome wasn’t positive? All cases that appear difficult end up with positive results. We never fail to make at least some positive changes. For example, while some children with cerebral palsy can change a lot, others will gain only some independence such as sitting, communicating, feeding etc. Please tell us a story about a child who’s close to your heart. Justine’s feet were amputated when she was a young child. She crawled on her knees. She was discriminated in all school activities like play, games, and no one minding about her. 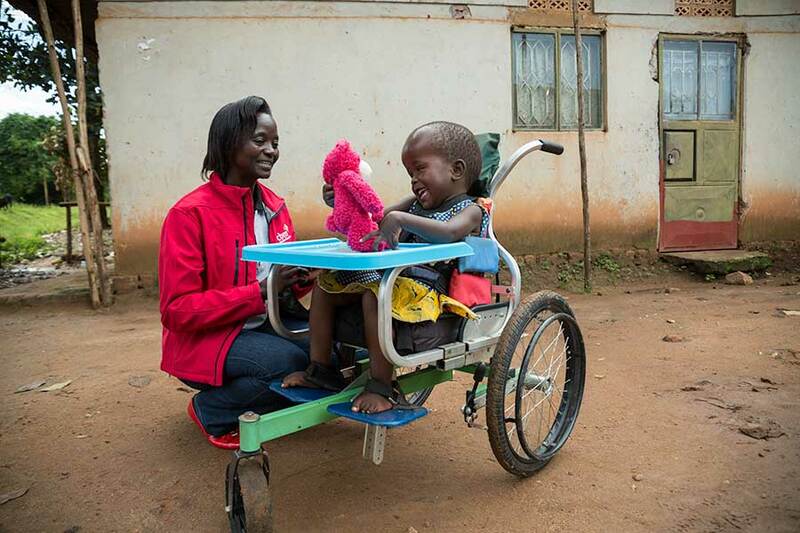 Children called her names like, Mulema, meaning a disabled person. After our intervention [and prosthetics} she is just like any other child. How does your faith affect what you do? Where do you get your strength and perseverance? Before I leave my home I say a prayer to God to bless my day, to enable my hands to make a difference and also to share what I do with people like you. When I see how much Hope and Healing International is helping our people, I gain the courage to serve even more needy people.